1898-1901 PIONÝRSKÉ BALONOVÉ LETY comp. 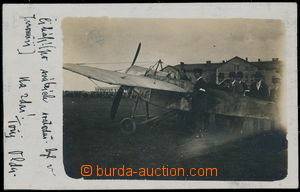 2 pcs of Ppc, 1x Ppc posted vzduchoplavcem Francis Hůlkou with text "Salute from balonu - balonovou post 29/9 901", CDS ZLONICE 30/9 01 with arrival CDS PRAGUE 30/9 01, supplemented with violet frame cancel. Franz. 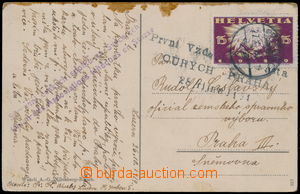 Hůlka/ Prague 795-1, sent to J. Tajera to Prague; good condition, sole known Us Ppc podána probably after landing on one from unbound plaveb (see cat. Horka, page. 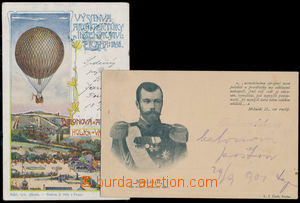 15) + supplemented with used Ppc with picture balonu RESSEL - Balonová aréna Hůlka - Vandas, quite unique document/attribut from first balonových flight in Czech lands!